Oh dear, things aren’t looking good for nu-Kirk and his friends. 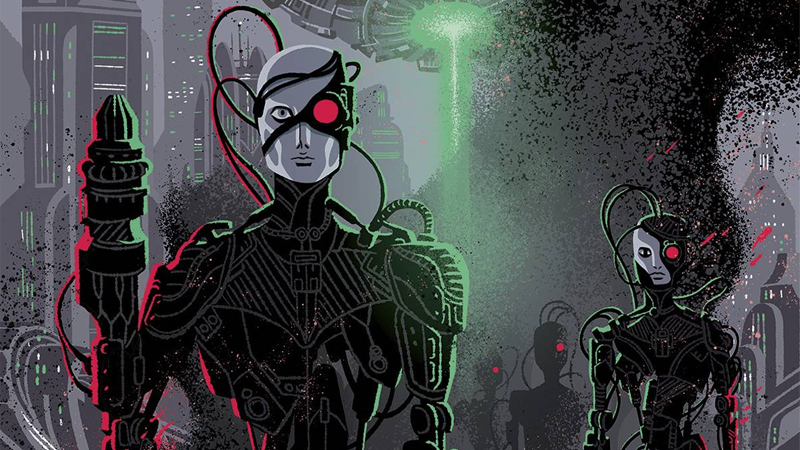 While it took until The Next Generation for the Borg to show up in the prime timeline, in the upcoming Star Trek ongoing comic, they’re showing up quite a bit earlier in the film’s alternate reality. Star Trek: Boldly Go, which begins this October, is set after the events of Star Trek Beyond. Its third issue, revealed in IDW’s December solicitations today, is going to see the crew of the Enterprise, alongside the U.S.S. Endeavour, come face to face with a threat unlike anything they’ve ever encountered... even if readers will be more than familiar with it. This is far from the first time Star Trek has played with bringing the Borg into eras before their introduction all the way back in TNG’s earliest episodes, but it’ll be cool to see how the collective is making its way into the Kelvin timeline—and how Kirk and the team will stop them. Star Trek: Boldly Go #3 is out this December.